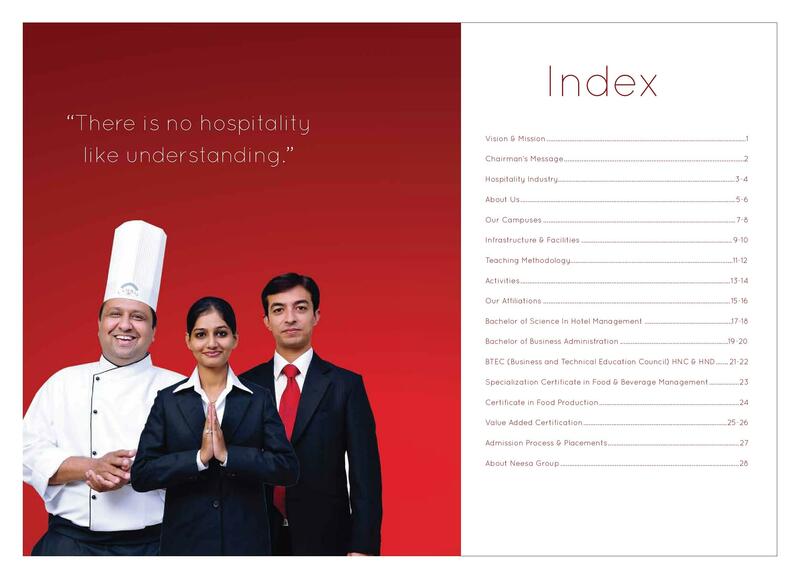 Cambay Institute of Hospitality Management (CIHM), Gandhinagar was established and is running under the Neesa Leisure Limited (NLL) under Neesa Group. 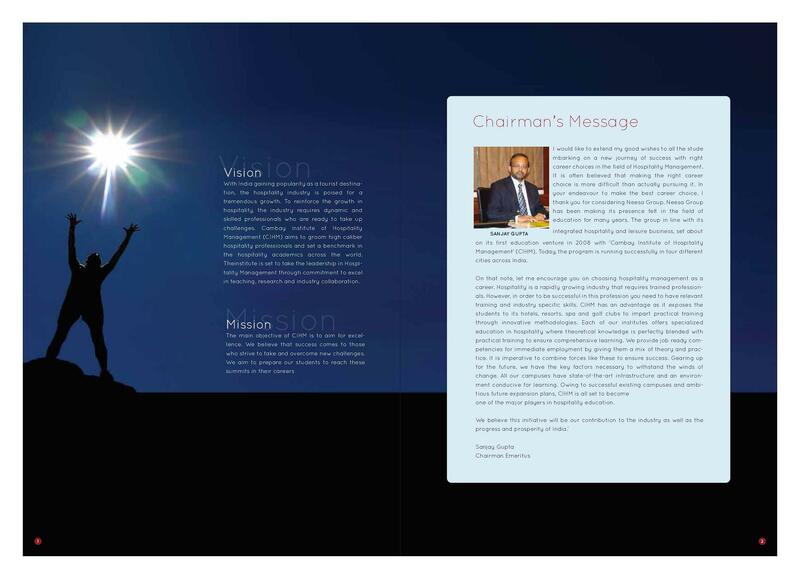 The college is affiliated to University of Huddersfield (UOH), American Hotel & Lodging Education Institute (AH & LEI) and Dr Babasaheb Ambedkar Open University (BAOU). 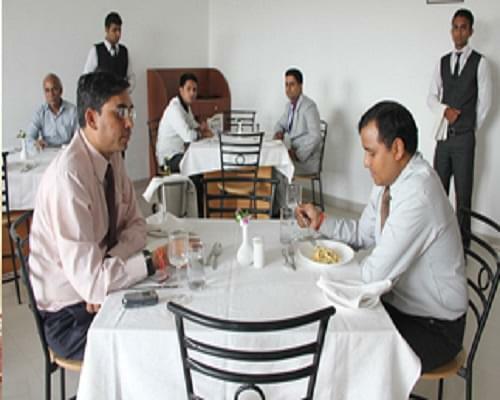 The college offers full-fledged hospitality management courses. The college has separate accommodations for boys and girls with all modern facilities. 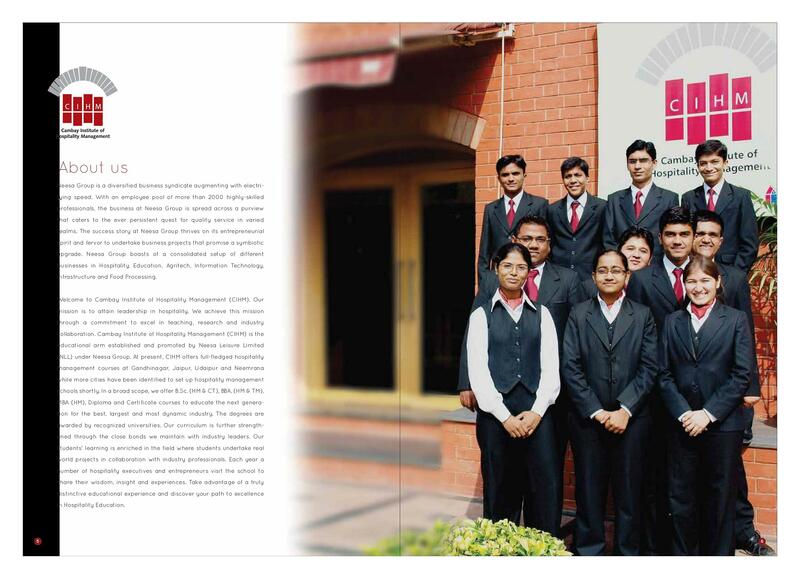 The main aim of the college is to maintain high academic standards and to groom high caliber hospitality professionals. CIHM has placement cell and it regularly provide proper guidance to the students for their final placement like to write resumes and face interviews. 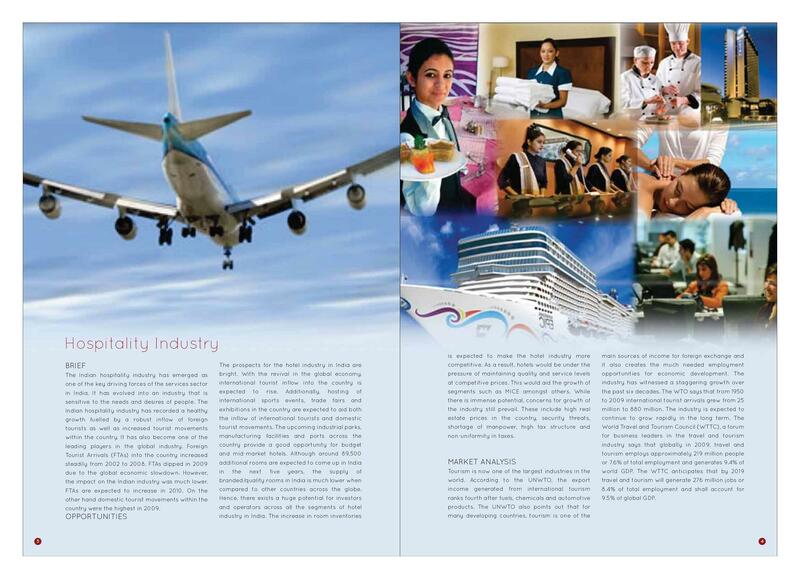 After completing the course from CHIM the students have many career option available in Hotels, Resorts, Restaurants, Airlines, Cruise Liners & Tourism/Hospitality Operations in Railways. 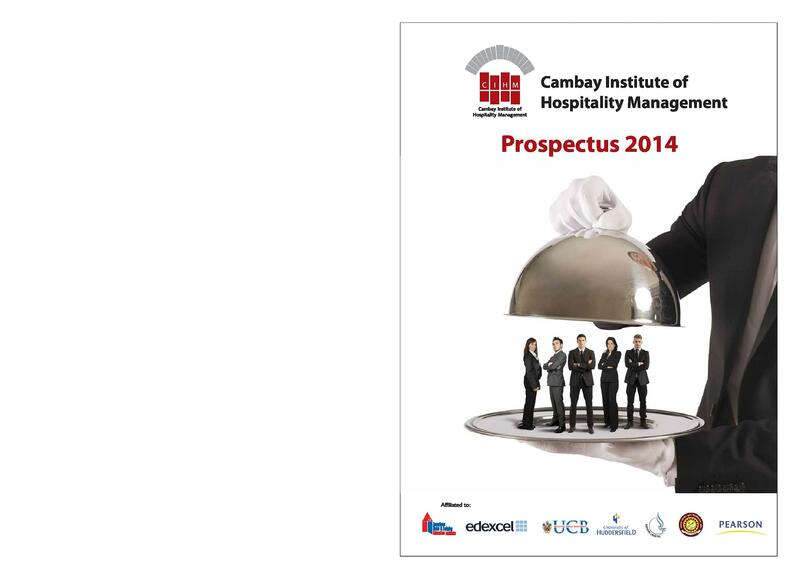 Why to join Cambay Institute of Hospitality Management? Academic Facilities- College has support services like Conference room, Library, LCD Projector, Library, Training Kitchen, Training Restaurant, and Housekeeping Laboratory, Front Office Laboratory, Dining Hall, etc. Experienced faculties- College has well qualified teaching staff having good experience in the field of education.